The most exciting of these are undoubtably the Cake Patterns Red Velvet Mini Clutches I made for James’s twin, teenaged nieces. They’ve pretty much only wanted cash or gift cards for a few years now, but this year I fancied giving them a little something extra to hold their gift. The Cake Red Velvet Mini Clutch is a smaller version of the full pattern without the illustrated instructions, but on the plus side it’s free, super cute, and easy to whip up in a few hours with scraps. Here I used satin scraps leftover from my Matthew Williamson birthday dress and my swirl sheath dress and a bit of floral lining leftover from the former, too. 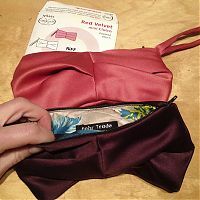 These are big enough to hold your average mobile phone, keys, lippy, and credit card, but not much else, but most of the times I want a little bag to match a dress this is all I really need to carry anyway. 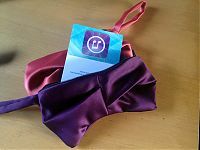 These were certainly one of those gifts I’d have liked to have kept for myself, especially since they match my dresses! I’m totally less excited by home dec sewing, but we really wanted some bolster pillows for lounging in our big, new bedroom on the boat – now that I’m working from home, I especially need one under my knees while I work on my laptop! When we bought our bedding from IKEA, the duvet cover sets came with four pillowcases, and since we only use one regular pillow each, the others were just sat on a shelf. 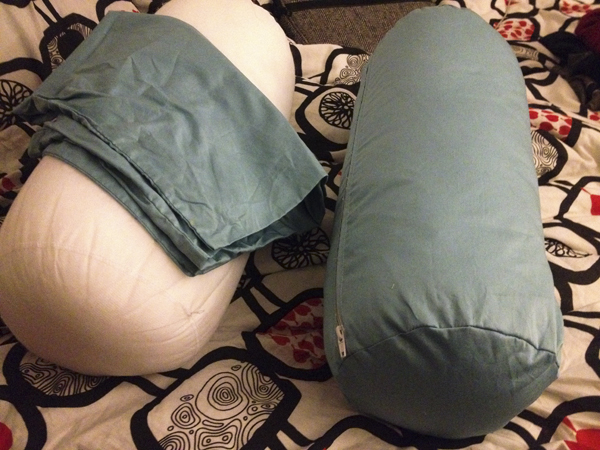 So I drafted up a simple little pattern using the extra pillowcases to cover our bolster pillows – just a rectangle, two circular ends, and a zipper along the side, but it means that our bolsters match our bedding, but also don’t get dirty or covered in cat hair. Result. 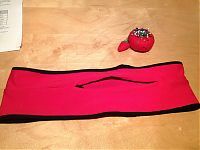 A few weeks ago a running friend asked me if I could make her a running belt, specifically linking to this tutorial. Seeing as how that was the exact tutorial I’d used to make our hidden money belts for Mexico, I certainly could! 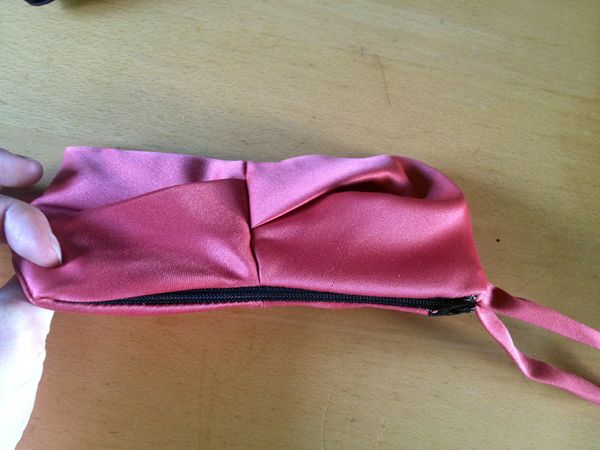 She wanted it to be red and black, and having made the tutorial twice already, I knew that using a regular zipper meant a really shoddy finish, so for hers I switched to an invisible zipper and it looks a million perfect nicer! I also learned from running with mine a few times that the slippery Cold Gear fabric meant it shifted around quite a bit, so I made sure hers was in a good, matte supplex so should hopefully stay put around her hips. 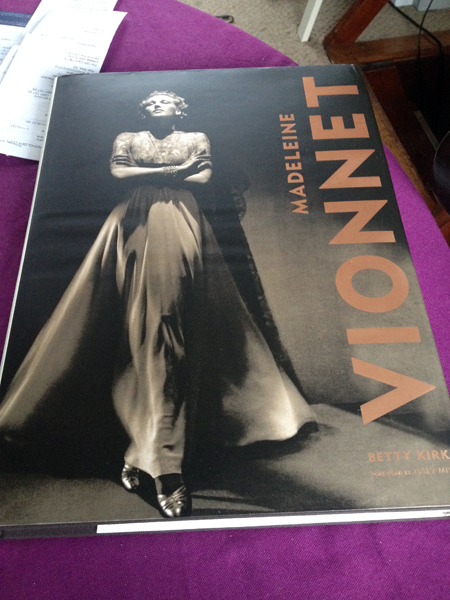 One of the items on my Christmas Wish List was the Madeleine Vionnet book by Betty Kirke. 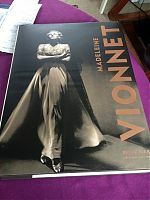 It’s not a recent book, but it’s been out of print and ridiculously expensive ($850!) 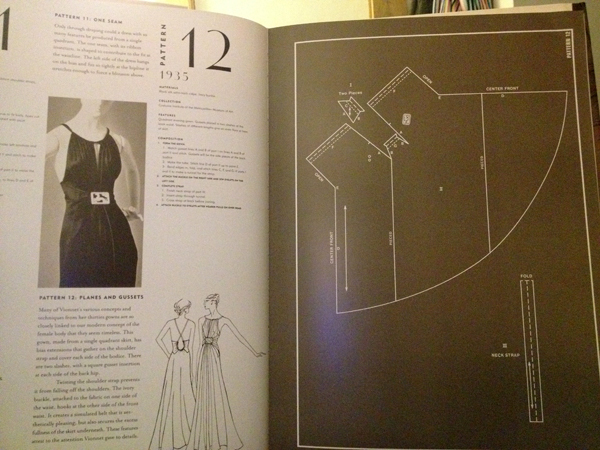 for a long time, so now that it’s reasonably priced again I really wanted to lose myself in its massive pages. Happily, my friend Pip snapped it up for me, and I’m slowly working my way through it, and savouring every page. 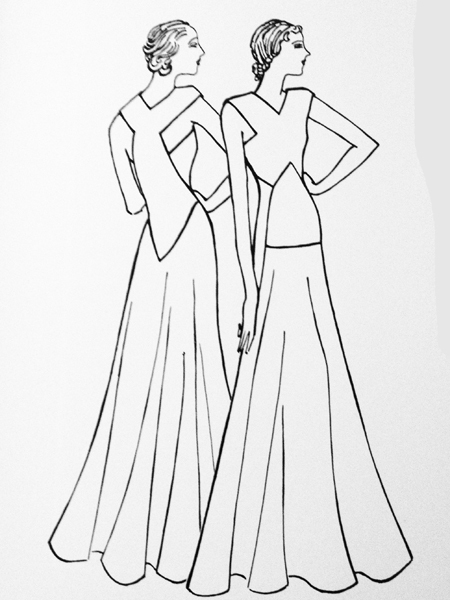 Along with the history of Vionnet and her couture house, there are tons of photos of her designs, plus sketches of a bunch of the designs, including the pattern pieces. 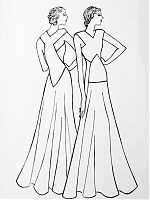 Most of these are a total mindf*ck in the way that Pattern Magic designs tend to be – Vionnet draped rather than flat drafted her designs, so the pieces tend to wrap around the body and drape in unconventional ways. 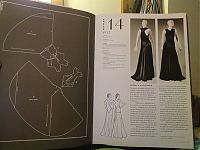 Dress 14 is by far my favourite, and I’d really like to make it at some point, even if it’s just the bodice and a shorter skirt! I did a bit of Googling to see if anyone has made this design, but I couldn’t find any. 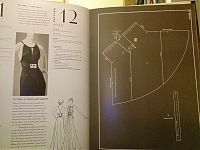 I did find this Fashion Incubator article though that references a second Vionnet book put together by Bunka students and which is apparently better than this Kirke book if you actually want to construct the designs. 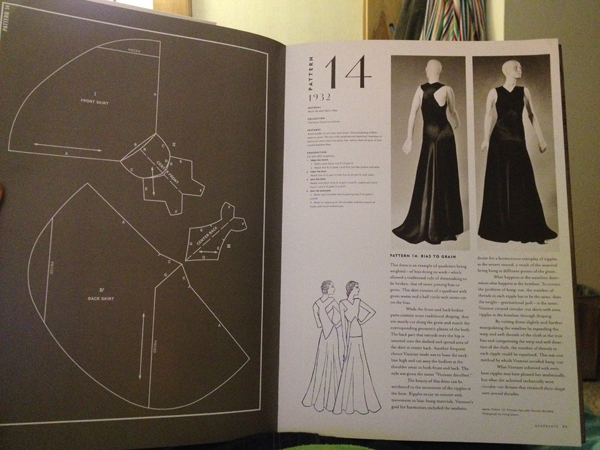 Does anyone own the Bunka Vionnet book and can confirm/deny if my beloved Dress 14 is included? 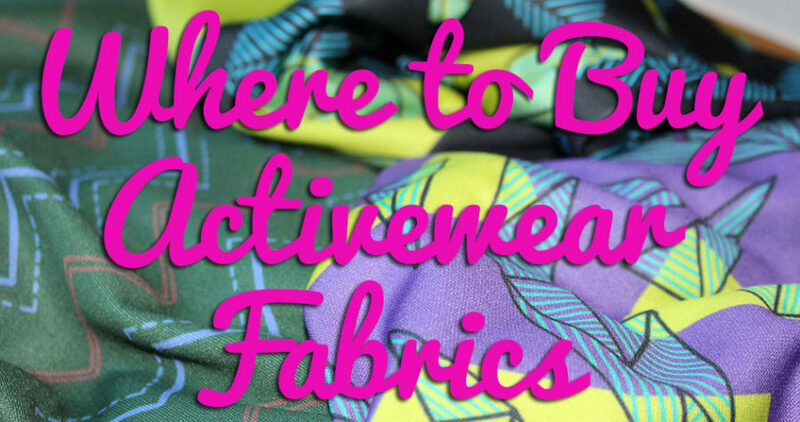 I don’t need much in the way of fabrics (but that hardly stops any of us, eh?) so when I went to buy some flannel for underlining James’s Sherlock coat plus some muslin material for a client project, a few other bits hopped in my Minerva shopping cart. 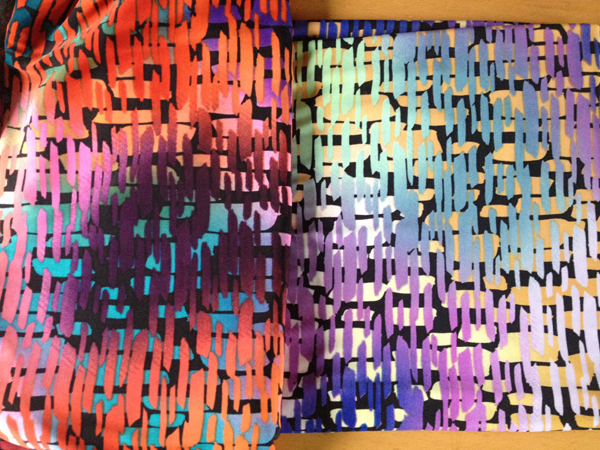 First, another meter of my now-signature orangey-purpley lycra print, plus a meter of its bluey sister. 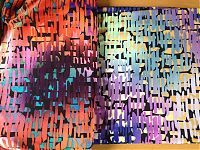 And I really want to make the Donna Karan leggings pattern at some point here, but I had no ponte in my stash, and the ponte at Hancocks in Virgina was poor quality and naff colours when I went to buy some there. 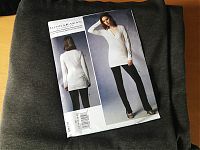 Minerva have tons of ponte knits, mostly at £12.99/m, but this charcoal grey one was on clearance for £4.99/m! 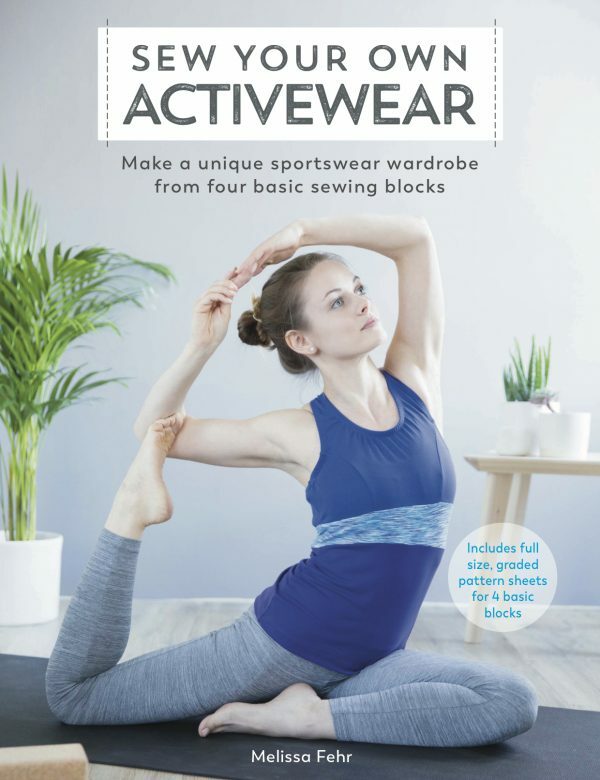 If you’re in need of ponte, seriously go and snap this up – it’s great quality and a crazy low price for such a versatile fabric and colour. 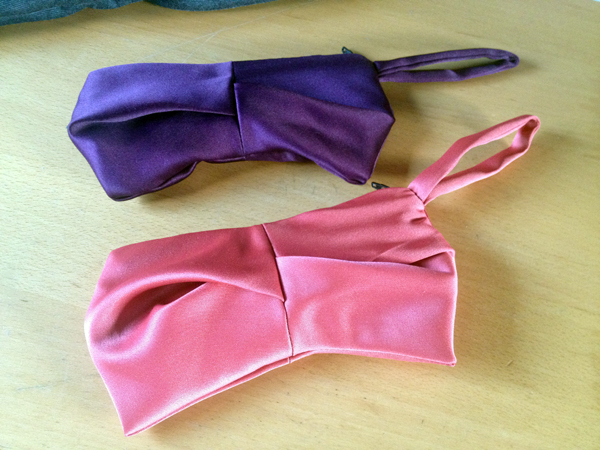 Thank you all so so much for all your support in buying my two new exercise patterns! The first week sales have been enough to boost my confidence and carry on with this, so I’ll be cracking on with some new designs in due course (I haven’t forgotten about my teeny-weeny ladies!). 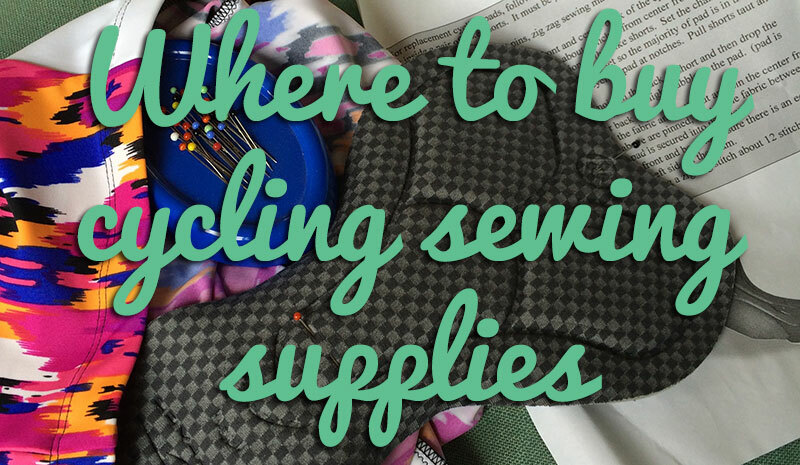 I am quite literally a one-woman enterprise here, and this income is directly allowing me to carry on designing more patterns, so thank you. 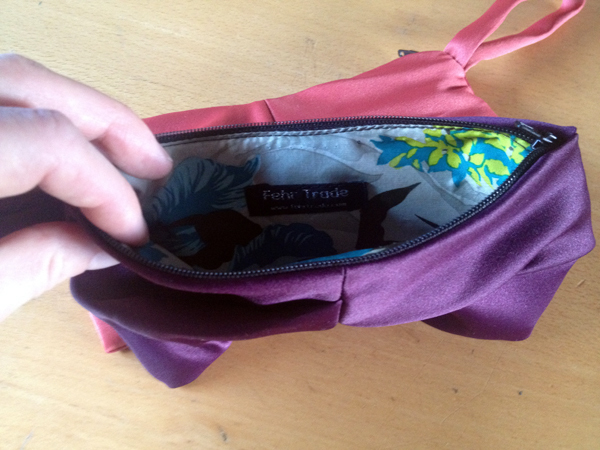 Remember, though, that if you want to get 10% off, the FEHRTRADEEARLYBIRD discount code expires on Thursday 2 Jan, so get in there if you’ve been on the fence! 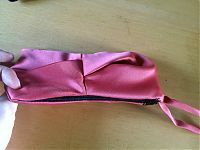 Separator image Posted in Gallery and tagged with bag, book, cake-patterns, exercise, home-dec, shopping.